We’ve all been there – that moment when you feel so hungry that you’re a just a little angry. How can you tame that hangry feeling – always have snacks on hand, ready to calm your growling tummy. In celebration of National Nutrition and Frozen Food Month, we’ve selected 5 easy, nutritious and tasty snack recipes using healthy frozen ingredients to help you avoid those hangry moments. Most of these recipes you can make ahead of time and store in airtight containers in the freezer, so you have them ready to go to help you power through your hectic day! Buying frozen foods is a great way to make sure you have nutritious ingredients always at the ready. Unfortunately, frozen produce has received a bad rap over the years, but more and more research has shown that frozen fruits and vegetables (especially those that are plain and without added sauces and sugars) are as nutritious as fresh and sometimes even more nutritious. This is because they are harvested at the peak of ripeness and frozen within 24 hours, locking in their taste and nutrition. 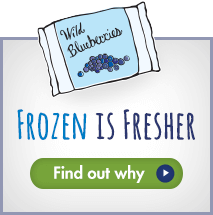 The Wild Blueberry is a perfect example of a delicious and nutritious frozen fruit to have on hand for smoothie and snack making all year long. Now onto the recipes sure to tame your hangry monster. Happy snacking! Did we have you at cake or mix-in-the-pan? That’s right, this delicious snack cake only requires the pan you bake it in, and something to mix it with, like a fork! 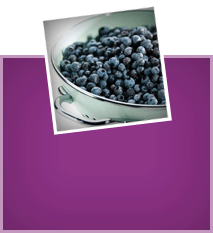 Each ingredient was chosen with intention by Katie Sullivan Morford, MS, RD of Mom’s Kitchen Handbook to boost nutrition including fiber, protein, and healthy fats – and antioxidants from the frozen Wild Blueberries. 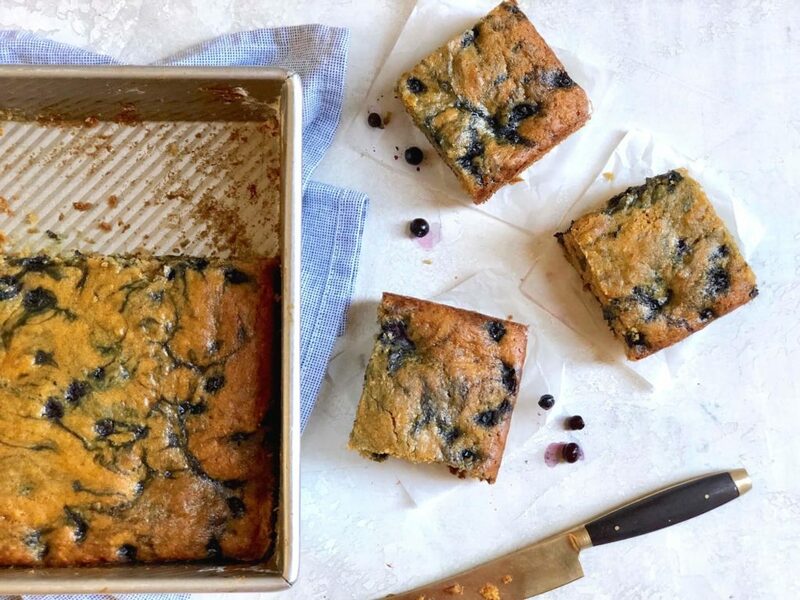 This tasty and easy-to-make snack cake has us staring at the oven the entire time it’s baking with its beautiful purple marble coloring from the Wild Blueberries. These snack balls require no baking and make a batch of eight – which is perfect if you’re looking to have a few snackable items on hand. 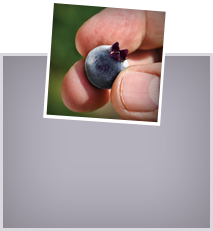 There’s no need to thaw the Wild Blueberries before adding them to the mix, as they will get too mushy when you mix everything together. 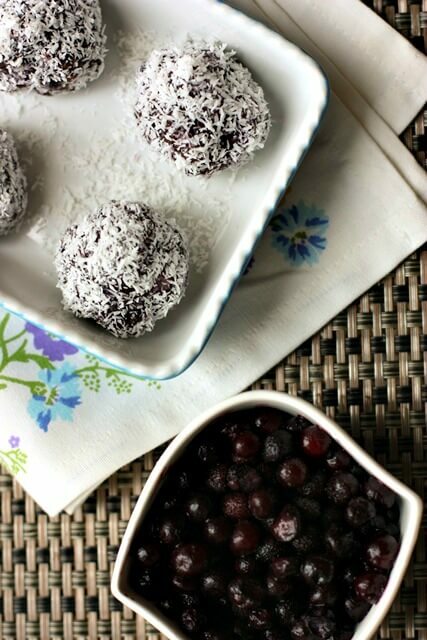 Medjool dates, vanilla, and Wild Blueberries sweeten these snack balls without added sugar. You can easily double, or triple, Danielle Omar, MS, RDN of Food Confidence’s recipe and store the extra in the freezer. A smoothie is super quick and easy to make – and satisfying! 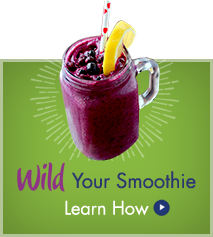 This #WildYourSmoothie recipe by Kara Lydon, RD, LDN, RYT, The Foodie Dietitian is full of protein to help keep you full and give you that boost of energy you so desperately need. This recipe calls for coconut milk beverage, but feel free to use your milk of choice. 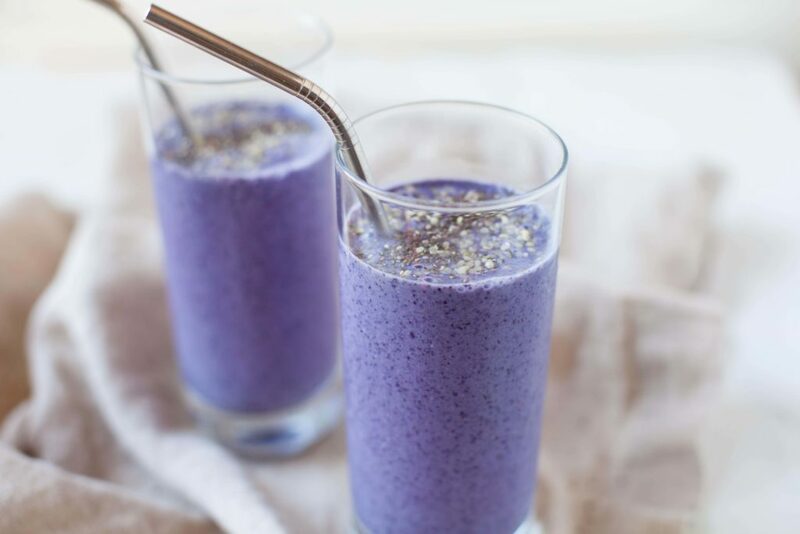 And don’t forget, using frozen Wild Blueberries means you can skip the ice and enjoy a smoothie full of that sweet, tart and tangy flavor that Wild Blueberries are known for. For some of us, it might be too early to think about froyo or popsicles, but in the summer months, you’ll thank us for this recipe by Lindsay Livingston, RD of The Lean Green Bean. 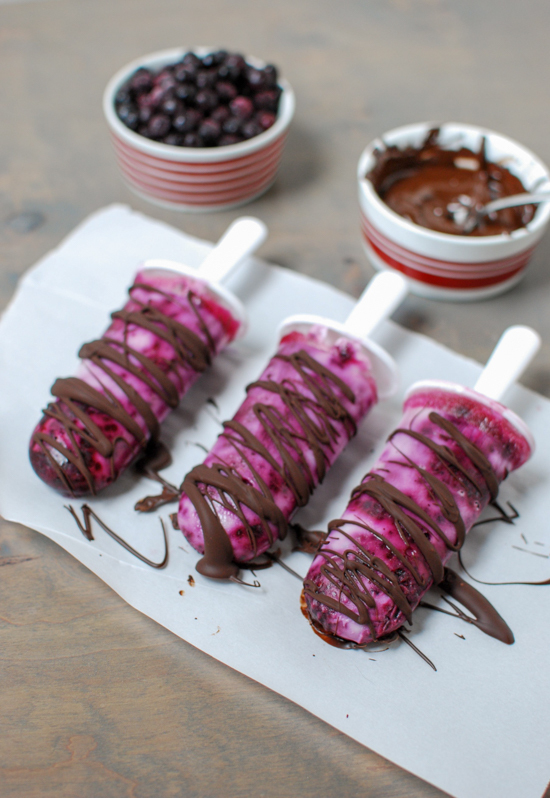 Make these pops with your favorite yogurt, use vanilla if you want them a little sweeter. Also, using Greek yogurt, or adding protein powder, will give these tasty pops an extra energy boost for you and the kiddos. If you like to make snacks ahead of time and store them in the freezer so you’re always prepared, you’re going to LOVE this one! 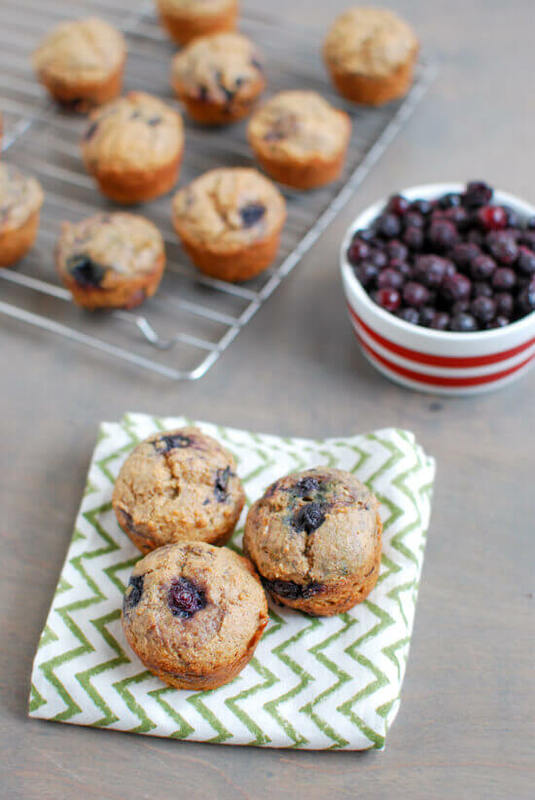 Another WILD recipe creation by Lindsay Livingston, RD of The Lean Green Bean, these mini muffins are perfect for refueling after a workout or enjoying with the kids when they get home from school. One batch makes about two dozen so be sure to store them in an airtight container and pop them in the freezer.